Sacajawea Healthcare for Pets is proud to offer an extensive selection of veterinary care services to residents of Federal Way, WA. Our team of highly trained, professional veterinarians is dedicated to the health and wellness of pets. With years of experience and a commitment to ongoing training and development, you can count on our veterinarians to always provide care that is compassionate and informed. 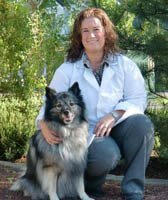 An Arizona native, Dr. Crouthers completed her undergraduate studies at the University of Arizona while working as a veterinary technician assistant. She then went on to graduate from Oregon State University College of Veterinary Medicine. Dr. Crouthers is happy to return to Sacajawea after spending a short time working at a clinic in the Issaquah area. Her interests in veterinary medicine include surgery, internal medicine and general medicine. Dr. Crouthers shares her home with her fiancee and a Mastiff named Sydney, as well as four crazy cats named, Roo, Eeyore, Fuzzy and Fred. I am originally from Southeast Michigan, and have always loved anything to do with science and animals. I went to Michigan State University and received a bachelor's degree in Zoology, with a concentration in Zoo and Aquarium Science. 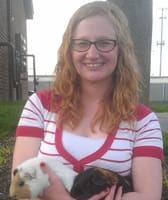 My love of medicine took me to the Ohio State University Veterinary School, where I decided my real passion was small animal medicine, including exotic and pocket pets. I decided I wanted to live on the west coast after falling in love with the region during an externship. Coming with me on this adventure are my husband, dog (Pembroke Welsh Corgi), cat, two guinea pigs, and two hermit crabs. In my spare time, I like running, hiking, and painting. Dr. Kristen Rooker knew from a young age she wanted to work with animals when she grew up. She graduated with a Bachelor’s degree in biology from Bridgewater College (located in the Shenandoah Valley, which is where she fell in love with mountains), then went on to receive her DVM from the Virginia-Maryland Regional College of Veterinary Medicine at Virginia Tech. After school, she was ready to move away from Virginia; many large mountains and the outdoor lifestyle drew her to Washington, and she is loving life on the West Coast! She enjoys all aspects of general practice but has a special interest in animal behavior and training. When not in the clinic, she is usually outdoors - hiking (her favorite trails are the ones that go “up!”), doing volunteer trail maintenance with WTA, skiing, or snowshoeing. She is also an avid reader and enjoys crocheting and knitting. She shares her house with Dodger the terrier mix, Oliver an adopted Persian cat, and a varying number of pet rats. 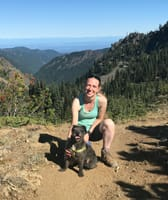 Dr. Virgin grew up in the Federal Way area, and she has returned to the area to join our practice after graduating from the Washington State University College of Veterinary Medicine. She brings a wealth of different experience, including work with animals, traveling as a jazz trombonist, and holding leadership positions with several professional organizations. Dr. Virgin brings with her a cat, two Keeshonden dogs, and her husband. 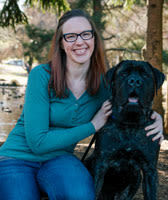 She is interested in all aspects of veterinary "family medicine."